After just 28 acts submitted their songs to Moldova‘s national selection for Eurovision O melodie pentru Europa, broadcaster TRM narrowed down the songs to 16 finalists, who will fight for the ticket to Lisbon tonight. Two weeks ago, we asked our readers to vote for their favourite Moldovan finalists in our poll. After counting 1.237 votes, we can reveal that DoReDos came out on top with “My Lucky Day”, by a comfortable margin. DoReDos’s win comes as no surprise. Their track “My Lucky Day” — written by Russian pop legend Philipp Kirkorov with lyricist John Ballard — also topped our Wiwi Jury, with 7.63 points. In the poll, DoReDos got 29.675 of your votes. In second place we find Anna Timofei. Her song, “Endlessly”, written by the sister duo Ylva & Linda Persson, convinced 17% of you. Nicoleta Sava, with her Romanian and Spanish language song “Esencia Del Sur”, is in third place, with just under 11%. Rounding up the top 5 are O melodie pentru Europa veteran Doinita Gherman and Moldovan/British duo Sandy C & Aaron Sibley. They got 9% and 5% of the votes, respectively. The bottom three consists of Ruslan Tsar, with just 15 votes, Cobilean Constantin with 14, and BellaLuna with only 12 votes. Full results: Who should win Moldova’s O melodie pentru Europa 2018? Moldova’s National Final airs tonight, starting 18:40 CET, on Moldova 1 and online on the TRM website and via Facebook. The show is expected to last until 22:00 CET, when the winner will be crowned by a 50/50 combination of jury and televote. The winner will be invited to perform their entry at tomorrow’s Selectia Nationala final in the neighbouring Romania. What do you think about the result of our poll? Do you agree that this is DoReDos’s lucky day? Sound off below! After the live, Moldova has 4 good options IMHO – Aaron/Sandy, Anna T., Doredos and Vera. Good luck, everyone! I am now switching to either Supernova or A-dal. Black Heart – Amazing, creative performance! Dark horse for the win for sure! Bravo, Vera! Back To Life – painful and unlistenable as expected. Why did this get an ending spot? Alien is additionally ruined by terrible backing vocals. I am sorry, cause I could see Felicia put an effort into her own vocal. The Gates of Love – Pleasant music, but she mumbles a lot and it gets boring. Esencia del Sur – I liked it! Sure, it’s cheap, but there is something enjoyable in this. Dance in Flames – Very cheap and tacky, not in a good way! Once Upon a Time – Beautiful, nostalgic and touching. I really hope they win! Agony – Song without a hook, but she did well. Constantin was actually quite good on stage, but the song is just weak. My Lucky Day – This definitely puts a smile on my face. Great performance, catchy, cute song, 3 good looking and talented performers. I can see why this is a favorite. Minds & Veins and Inima-n stinga were both okay, but were lacking something in live I can’t put my finger on. 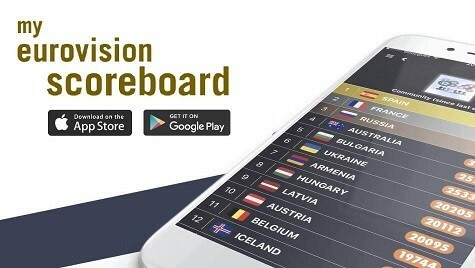 Does anybody know how I can watch the Slovenian selection Final? Is there a livestream because the website (RTVSLO) doesn’t work, any help? Endlessly – simply enchanting. Like a song from a fairytale. She’ll need a big staging oomph at ESC, though, but I would like seeing her there. Moments might being shared, but not between them, as they barely make any contact. Yawn. Tolik – broken accent! Too bad, cause the song is actually nice. When you see that lyrics are written by John Ballard, you remember Greece last year! Then you say: There is no way Doredo’s gonna finish in top 15 in Lisbon!!! Thanks, Bogdan! 🙂 I Appreciate it.